The Communications Office advances the visibility, reputation, and brand identity of the College. Hire a freelance designer: Contact the communications director (x1793) for a quick conversation about your project and recommendation of which designer will be a good fit for your project. It is college policy that all marketing communications materials conform to the brand and editorial style guidelines. The communications office works with members of the media (web, TV, radio, and print) to advance the visibility, reputation, and brand identity of the college. 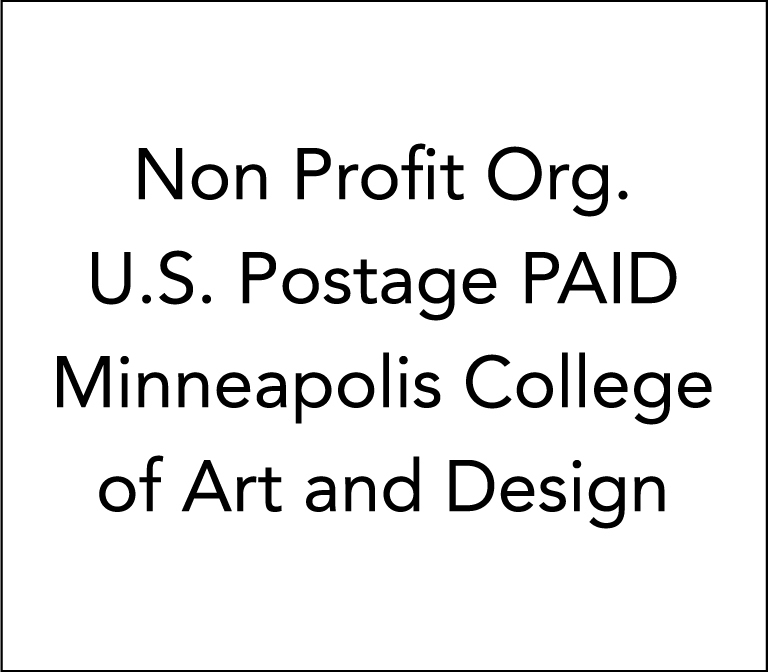 Faculty, staff, students, alumni, and partners, are encouraged to contact communications@mcad.edu with story ideas and information about events or activities of interest. It is college policy that the communications office has managing responsibility for all media relations. For a discussion of why this policy is necessary, please stop by the communications office. The communications office works with all college departments to create advertising materials that achieve a variety of objectives. It is college policy that all advertising materials are reviewed by the communications office prior to publication. View sample advertising costs and impressions. To hire a photographer, please contact communications@mcad.edu for a list of alumni and faculty freelancers. Photographers are required to provide TIFF files with embedded metadata when working for the college. The triptych and kiosks are available to publicize campus events. They are available by request for time blocks of 1–3 weeks. The requesting party is responsible for all printing costs and for installing the posters in a professional manner. Letterhead and envelopes are available from the business office.